!MC5 is setting new benchmarks for B2B communications and Enterprise Application Integration (EAI). Support of established communication standards as well as processing and conversion of EDI data connects your individual business software to the outside world. A modular architecture, ability for complete automatation, easy installation and an intuitive user experience mark !MC5 as one of the most powerful and cost-efficient solution for your B2B requirements. 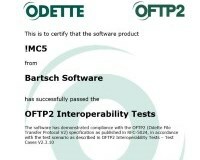 !MC5 supports file transfer using established industry standards: OFTP (conforming to VDA4914/2 via ISDB and TCP/IP) as well as secure OFTP2 (conforming to RFC 5024), both widely used in the automotive sector. Further protocols, such as AS2 or SFTP, will be supported in future releases. Control external software to implement almost any other communication method, eg. FTP or X.400. 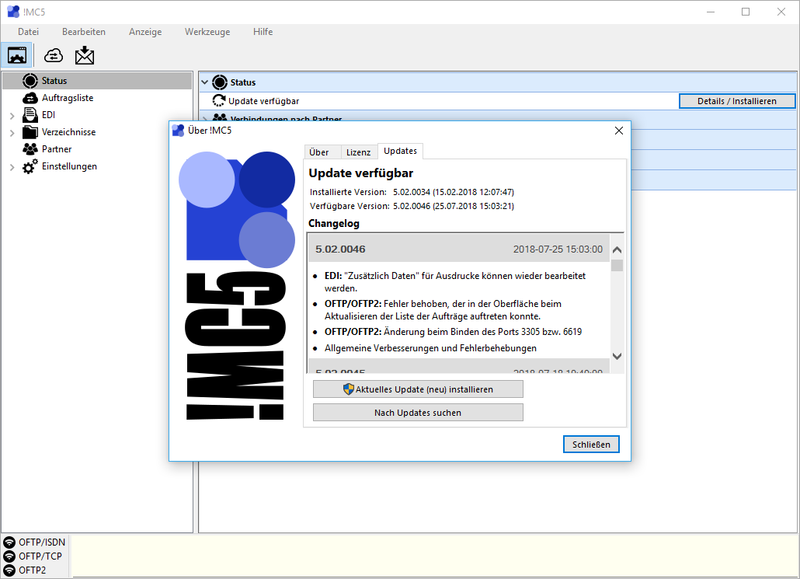 For the exchange of CAD/CAM data !MC5 also supports ENGDAT (conforming to VDA 4951) and ENGPART. 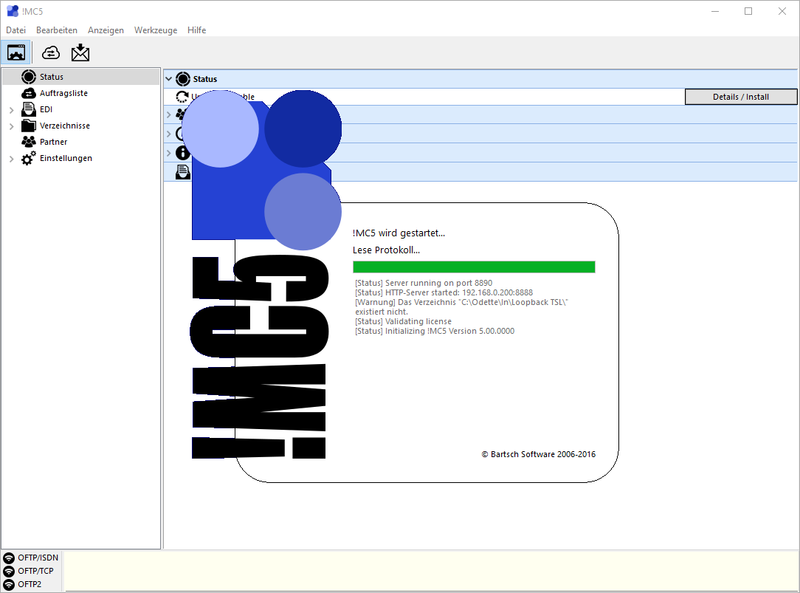 Using the Module EDI you can connect !MC5 to your inhouse business software: EDI data (UN/EDIFACT, VDA, ASC X12, XML and more) can be processed and converted automatically. Create user defined inhouse formats and mappings between those and any message type using the provided Convert Manager. Thus recevied data gets translated into a form your ERP can read and vice versa. All processes are fully automatable, based on individual rules per partner. Additionally !MC5 closes gaps in your ERPs printing options: Depending on the EDI message type different printing options may be provided, eg. printing of transport labels conforming to VDA 4902. Overall !MC5 is your perfect EDI interface to react flexibly to the ever changing EDI environment without the need to change your business software. Our ultimate goal is to provide our customers the best solution for their business success. For us this means reliable, cost effective and easy to use software as well as professional support and continuous enhancements of our products. Easy installation, configuration and maintenance. Many step by step guides in the included software manual. Integrated update notification and installation to keep !MC5 always up to date. No limitation of the maximal allowed partner accounts. Complete automataion of all processes. Once correctly configured no user interaction is required. Extensive protocols of all processes. 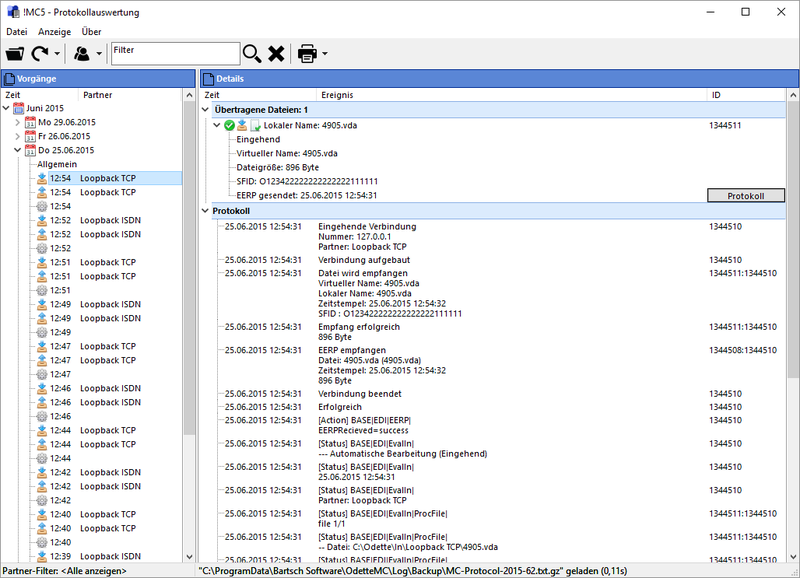 Using the external protocol analyser protocols can be viewd from any workplace. Email notifications in case of any errors during communication or processing. 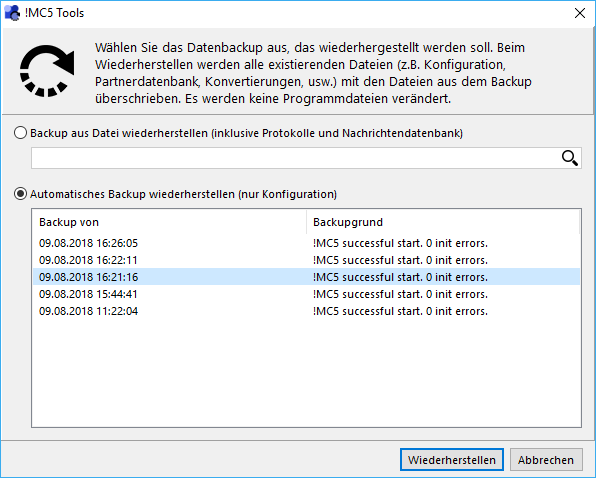 Integrated data backup and version rollback. Highly modular architecture for your individual requirements via different modules (eg. 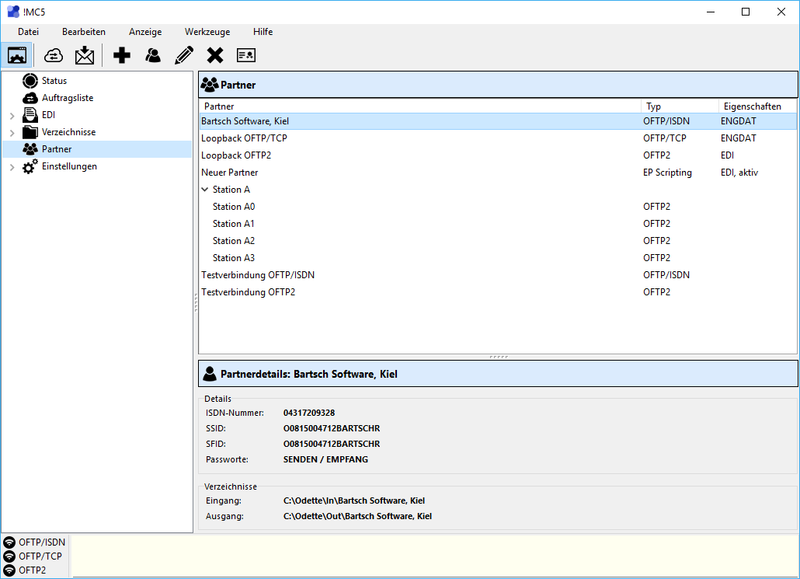 OFTP, OFTP2, EDI) and addons (eg. 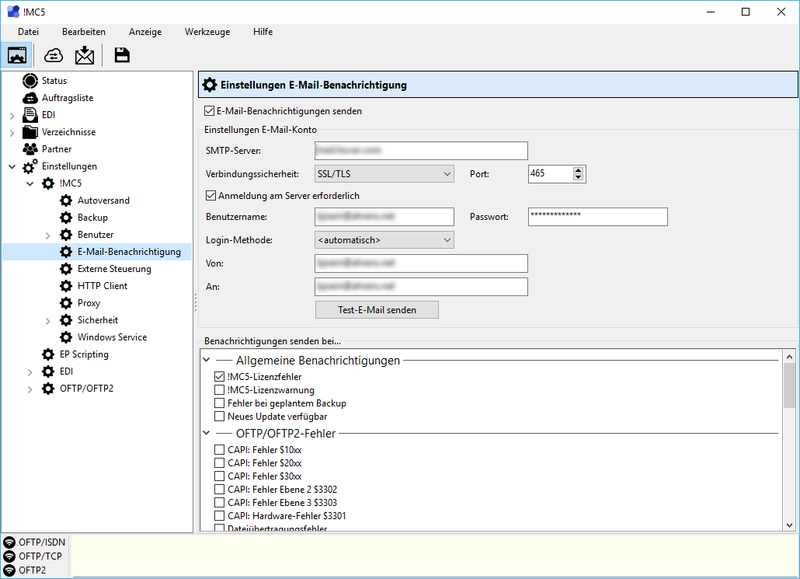 ENGDAT, ENGPART, HTTP Client, Windows Service, EP Scripting).